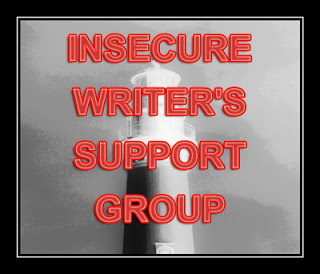 This is my entry for this month’s Insecure Writer’s Support Group – a group for insecure writers to support each other. Sometimes straightforwardness is what you want in a name. Will anyone ever like anything I have to say, any of the words I pour down on paper? It’s a whingy, pitiful thing to think, but as someone whose ambitions outreach my current level of success, it’s a thought that every now and then rears it’s ugly head. In my case, it’s more a matter of wondering whether people will like what I have to say in significant numbers – I’ve had positive feedback on some of what I’ve written, from football-based opinion pieces to reviews, and even on the occasional pieces of short fiction I manage to finish. I’ve even been told that I’m mildly entertaining when I let loose and jibber wildly, so there may be money to be made when I finally embrace full-blown madness. I don’t think I’ve really wowed anyone with anything I’ve written, really blown anyone away. It’d be nice if I had a few fanboys and fangirls, but unfortunately that comes after the years of hard work on craft. Ironically it’d probably be more useful to creatives to have wild adoration early in their careers when they really need it. This is going to be a much shorter IWSG entry than normal – it’s really just a single thought and nothing more. I’m sure it’s something that’ll pass in a day or two when I get lost in another idea. But if anyone wants to forward me some fanboyish or fangirlish behaviour, look back over my old stuff and tell me how mindblowing my genius is, I’ll try to earn it in the future. WHY WON’T YOU LOVE ME ALREADY??!!? Previous postWhat’s the Mata With Mourinho’s Management? This is something that will plague pretty much every writer for their entire career. When you don’t have any fans, you clamour for just one. Then when you have one you clamour for two. And on it goes. At no point do you ever really feel safe and secure on that pedestal you are trying to build for yourself. I’m sure that’s the case – I’ve heard Neil Gaiman make a similar point recently. I suppose self-doubt is a good way to innoculate ourselves against complacency, but I’d like to at least have the opportunity to get arrogant and complacent! You don’t need rabid fans who love you – you just need enough to really like you. I don’t write stuff that wows people. But that’s all right – I’ve still made a career out of it. Just keep writing. No one will love it if you give up. It will happen. Think you’re right – most writing doesn’t wow people, and the type that does tends to be divisive. Still, I envy your ability to make a living from writing! I think that anyone who writes anything original would love to wow someone else; what a great pat on the back that would be, to know you’ve caused a positive emotional stir in somebody. While we’re waiting for that though, why not give ourselves a pat on the back, for all that effort involved in putting a piece of ourselves on show? I think I’d agree with everything you’ve said, but it can be frustrating waiting for the payoff. I do have some readers waiting for my next book, so that’s exciting. I do aim to have a loyal fan base but that will take time. I’m sure you’ll get there yourself soon! In meantime, don’t get too full of yourself. I never liked it when authors treat their readers like they exist to serve their ego. Haha, yeah I probably shouldn’t be at that stage yet myself, but the sense of pointlessness does kick in from time to time. I’ve had people saying they like individual things I’ve written, as well as people recommending the ‘Lower League Week’ football review I do as a Friday Follow on twitter, which is really nice, but I’m still at the stage where the effort of writing feels a lot more than the amount of enjoyment people express in return. It must be amazing to be someone like JK Rowling or Stephen King, and to be able to open your email or look on a message board, and find a dozen new emails that day about how much people enjoyed what you’ve written! By the way, sorry about taking so long to notice and approve your message, been neglecting the blog a bit recently!